Color inspirations - I can't get enough when it comes to creating jewelry! I'm always on the hunt for a new beautiful color palette to incorporate into my beads and jewelry. In a rut - find a new and unexpected color palette to inspire your designs. Want to create something trendy - find a fashion forward Pantone color palette. Not confident in your color yet? Start by finding palettes that you love and go from there. If you haven't seen the Color Canvas feature before it starts with a photo that I take, a color palette pulled from the photo and a piece of jewelry inspired by both. Oh my gosh, it's so much fun!!! 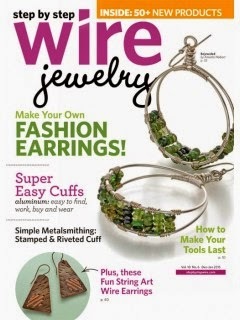 My first column is in the Dec/Jan issue of Step by Step Wire Jewelry and you can download it now! 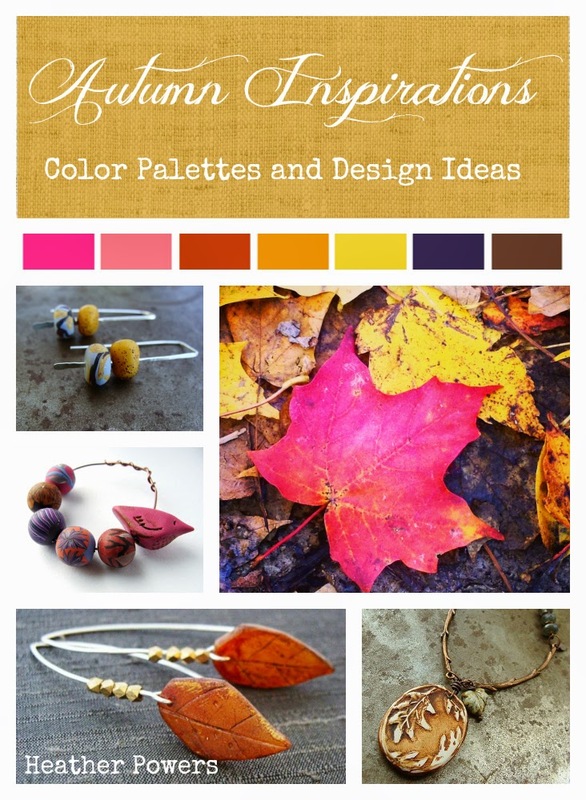 To celebrate my new gig as the Color Canvas contributor for Step by Step Wire magazine I created a free Autumn Inspirations color palette booklet. Grab a cup of chai tea and enjoy a dose of autumn color and design inspiration! I've created a 10 page booklet with four gorgeous color palettes, design ideas, trendy tips and my favorite bead picks for each color palette featuring beads from Humblebeads and Lima Beads. It's a leaf collecting, pumpkin surprising, woodland walking bead romp that you won't want to miss! Print it out and use it the next time you sit down to make jewelry. Psst...You'll need Adobe Reader to access the PDF booklet. It's free here but your computer probably already has it.